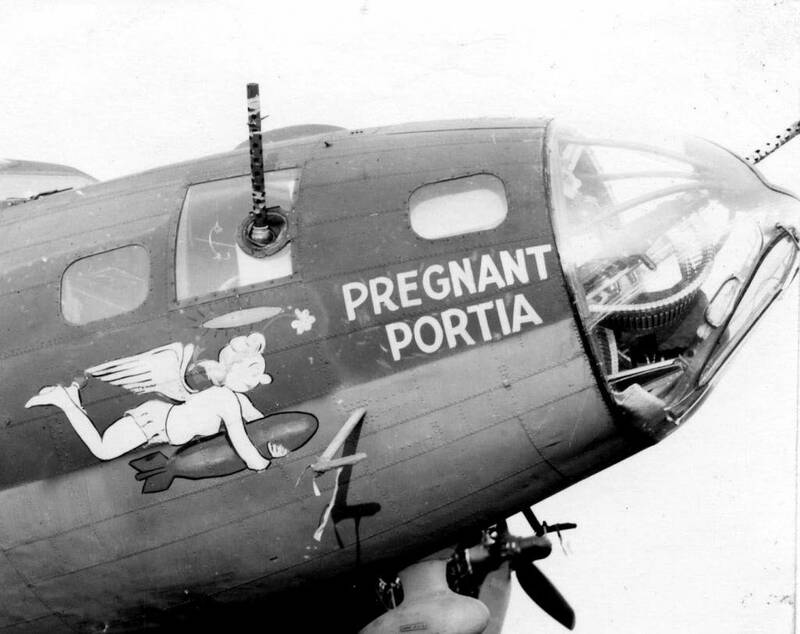 Delivered Long Beach 25/4/43; Gore Fd 1/5/43; Kearney 30/5/43; Dow Fd 17/6/43; Assigned 551BS/385BG [HR-B] Gt Ashfield 18/6/43; Missing in Action Regensburg 17/8/43 with John Keeley, crew unknown (10 Returned to Duty); damaged in fighter attacks, ditched Mediterranean Sea, 130 from North African coast. No MACR. PREGNANT PORTIA.